BEIJING • Taiwan President Tsai Ing-wen's decision not to acknowledge the 1992 consensus in her inauguration speech last week did not just put future relations with mainland China under stress. It might also have unduly exerted political pressure on Chinese President Xi Jinping, leading him to take a tough stance on Taiwan in order to shore up his authority, ahead of a leadership transition next year. There are several reasons Mr Xi could be feeling the heat. First, the Chinese leader might be deemed ineffectual in his handling of Taiwan, which Beijing views as a renegade province. After all, Beijing has warned - in both word and deed - that Ms Tsai, from the pro-independence Democratic Progressive Party (DPP), should affirm the consensus, which contains the "one China, different interpretations" principle. Since Ms Tsai and her party won the elections in January, they have been reminded repeatedly that failure to uphold the 1992 consensus would lead to disastrous consequences for cross-strait ties. Second, there are high expectations that Mr Xi, having served a total of 22 years in the coastal provinces of Fujian and Zhejiang, facing Taiwan, would be best placed to deal with the island. Mr Xi himself further fuelled those expectations when, after taking power in November 2012, he set higher standards for the development of cross-strait ties. Apart from economic exchanges, which had been the focus since 2008, he also pushed for political dialogue. Yet another reason is that Mr Xi was seen to have made a political compromise when he agreed to meet then President Ma Ying-jeou of the Kuomintang (KMT) in Singapore last November, partly in a bid to sway Taiwanese voters. The Xi-Ma meeting, the first encounter in 66 years between the two heads of government since the KMT fled to Taiwan after losing a civil war to the Chinese Communist Party (CCP) in 1949, was seen as a tacit acknowledgement by Beijing of "one China, two governments". HOW MUCH PRESSURE ON XI? While analysts agree that Ms Tsai's move has put Mr Xi in a difficult spot, they are split over the level of pressure he is under, and also on his next course of actions. 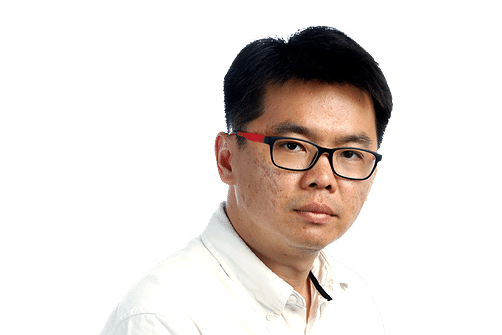 Professor Huang Jing, from the Lee Kuan Yew School of Public Policy in Singapore, said he believes Mr Xi now faces enormous political pressure. "Xi has already put his own credibility on the line by stating that the 1992 consensus is the bottom line. It will be very difficult for him to accept anything less," Prof Huang told The Straits Times. "Unless Tsai dramatically changes her position and accepts the consensus, I fear cross-strait relations will worsen," he said. Unlike Prof Huang, Beijing-based observer Li Fan said the situation is not as dire because Chinese policymakers should have anticipated that domestic political constraints would make it hard for Ms Tsai to affirm the 1992 consensus, as it is seen as a pact reached between the CCP and the KMT. Mr Li, who runs a private think-tank, said Mr Xi has, in fact, shown his grasp of Taiwan affairs and averted a worse scenario by setting a new bottom line for Ms Tsai, which is to uphold the "one-China" principle. He said the bottom line was revealed by Chinese Foreign Minister Wang Yi during his visit to Washington in February, when he said that whoever holds power in Taiwan would accept the provision in its Constitution that the mainland and the island belong to one China. "While the mainland's explicit requirement was the 1992 consensus, its real bottom line was the one-China principle, which Tsai was seen to have met by citing Taiwan's Constitution in her speech," Mr Li told The Straits Times. "So, the outcome is better than expected," he said. Mr Li added that Mr Xi has also exerted the right amount of pressure on Ms Tsai to achieve this outcome - through actions such as normalising ties with Gambia, deporting Taiwanese telecoms scam suspects, and reducing the number of mainland tourists to Taiwan. Taipei-based analyst J. Michael Cole said Ms Tsai has also made some concessions that might soften the impact on Mr Xi. He cited how she described the meeting between cross-strait negotiators in 1992 as a "historical fact", and how both sides should set aside differences and work together on issues of common interest. "To me, that's the 1992 consensus in all but name, and that's something Tsai's predecessors would never have imagined saying," said Mr Cole, a senior non-resident fellow at the University of Nottingham's China Policy Institute. Still, Mr Xi had to show how he took a tough stance on sovereignty as "openly stating he is willing to compromise on that issue would likely spark accusations in China - at least among his detractors - that he countenances splittism", Mr Cole told The Straits Times. But he said there is a need to differentiate between what Chinese officials say and what they will ultimately do. "While the rhetoric has been fiery and will likely continue to be so, policies could be more accommodating, at least for the foreseeable future," he added. So what should Mr Xi do to minimise further negative impact? Prof Huang said Mr Xi has no choice but to take tough action on Taiwan, as his leadership is not fully consolidated ahead of the 19th Party Congress next year, and there is fierce opposition against him as a result of his anti-graft campaign and reform drive. "The last thing Xi wants is to be attacked for being soft on Taiwan, a core interest for China. So Xi doesn't have much room for manoeuvre and must play tough. He has also put his words in writing. If he backs down, his leadership will suffer." Prof Huang added that there are also other issues that could unnerve Beijing and toughen its stand towards Taiwan. He noted how Ms Tsai had dropped charges against protesters involved in the 2014 Sunflower protest movement and moved to improve ties with Japan, China's strategic rival. Mr Cole said Mr Xi should be open to constructive engagement with the DPP. He cited how the party, as a concession to Beijing, used language in a proposed cross-strait oversight mechanism in the legislature that does not refer to Taiwan as a state but an "area". "So yes, President Xi has received some concessions from President Tsai, and both sides should build on that rather than shut the door to constructive engagement in future," said Mr Cole . He also said Mr Xi might be able to demonstrate true leadership ahead of the 19th Party Congress by showing himself capable of adapting and adjusting to realities in Taiwan, though it might be a gamble. "This would be a huge risk for any Chinese leader, no doubt, but a real and long-lasting legacy cannot stem from one's unwillingness to face reality, and plunge the region, no matter what, into a disastrous spiral of conflict." Mr Li said Mr Xi will have to be moderate in his actions. "Being too soft carries the risks that it would encourage the DPP to pursue independence. But being too tough has its risks too," he said. 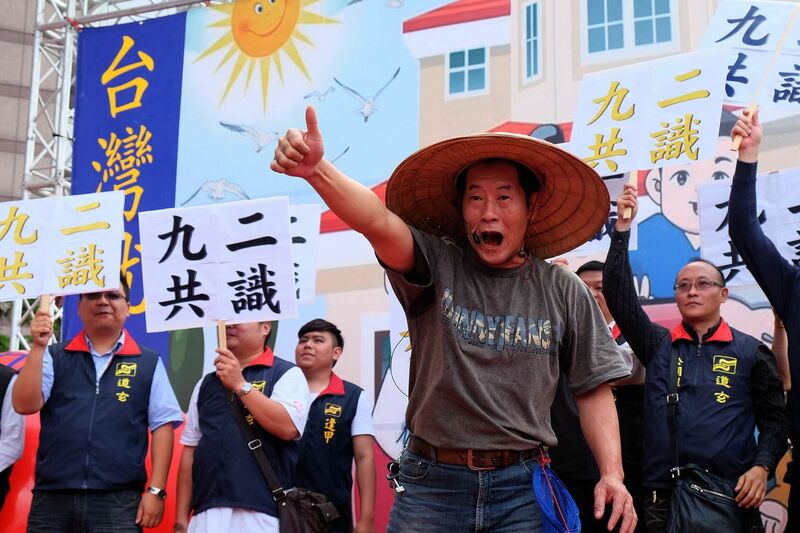 "Now many think Taiwan would suffer if the mainland cuts off ties. But a desperate Taiwan would have to seek out new, deeper economic partnerships with other countries, including Japan, which would be more troublesome for Beijing." Also, Mr Li said Ms Tsai's ambiguous stance on the 1992 consensus has already prompted criticism from pro-independence forces, but increased pressure from the mainland might make the DPP abandon its implicit support of the one-China principle. Mr Xi might do well to heed his own advice. In his first remarks on cross-strait issues as CCP chief in February 2013, he said time, patience, and hard work from both sides were needed to tackle challenges. Also, he promised - most recently after Ms Tsai's victory in January - that the mainland's cross-strait policy, including its desire to advance peace and stability, would remain, regardless of political changes in Taiwan. Acting too harshly and too quickly now may backfire later for Mr Xi, especially if it proves politically costly to him.